Princeton University Press. Very Good+. 1984. Ninth Printing. Softcover. 0691003726 . Very good, clean, tight condition. Pages unmarked. Cover has light edge and corner wear. B/w illus. 179 pages. Journal of Aesthetics and Art Criticism : "This book is unquestionably a major contribution to our understanding of the formal organization of Gothic architecture. " [240-osl]; 8vo 8" - 9" tall; 225 pages . The Taunton Press. New. 2002. 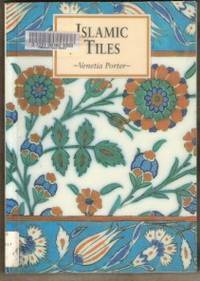 First Edition; Third Printing. Softcover. 156158634X . New book, no markings, a little scuffing of cover. ; 4to 11" - 13" tall; Overview: Developed as a guide for the authors' crews, from basics to finishing, Precision Framing combines common sense, good engineering, and craftsmanship. 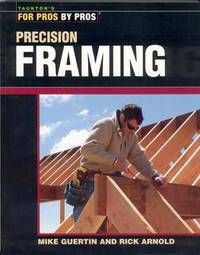 Custom framers who strive for excellent results and labor efficiency can utilize these procedures as is or adapt them.  .
Taunton Press. Very Good. 1993. First Edition. Softcover. 1561580538 . Ex-library book, but still in very good, useable condition - sturdy laminated cover and usual ex-lib type markings. Light edge & corner wear to cover - some roughness to laminate around edges, light soiling outer edge of pages. Pages are clean and intact. Profusely illustrated, mainly in colour. SUMMARY: Whether a home handyman or professional carpenter, you'll find this book a unique, one-stop resource on almost any exterior project or problem. 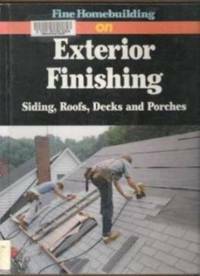 Siding, painting, flashing, roofing, gutter replacement, decks, outdoor stairs & cornices - these and many other useful subjects are covered in these 25 articles. Also covers materials, techniques & tools and how to solve your house's exterior problems efficiently. ; 4to 11" - 13" tall; 128 pages . CA: Thunder Bay Press. New in New dust jacket. 1995. First Edition. Hardcover. 1571450661 . New book, no markings. Profusely illustrated in colour. 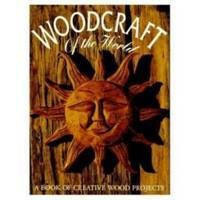 SUMMARY: 22 Projects for woodcrafts from around the world. Includes: American Country Style, Shaker Simplicity, Woodcraft of Scandinavia, French Provincial, Treen of the British Isles, German Tradition, Russian Toys, Mexican woodcraft, Islamic Fretwork, Japanese Wood Art etc. Covers tools, equipment, technique, finishing etc. ; 4to 11" - 13" tall; 176 pages; (Note: due to heavy weight, extra postage will be required to most locations) . Cambridge: The MIT Press. New. 1994. First Edition. Softcover. 0262032201 . Large softcover is new. There is a small pen marking on upper edge of pages and light shelfwear to cover edges. Colour & b/w photos. 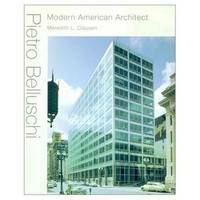 ; 4to 11" - 13" tall; 468 pages; Pietro Belluschi (1899-1994) was the last survivor of a generation of European immigrants who had a major impact on American architecture. 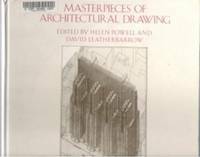 This extensively illustrated study of Belluschi's life and work sheds critical light on the remarkable accomplishments of the AIA Gold Medalist and designer (by his own estimate) of more than 1,000 buildings and projects. The book reveals the enormous power that Belluschi wielded as an arbiter of taste and a decision-maker in the 1950s and 1960s; his role in shaping the policy of the State Department in its overseas building program; and his role in securing major commissions for favored architects such as I. M. Pei. The book also discusses Belluschi's role in the development of regionalism in the Pacific Northwest and its impact on the definition of modernism as it was emerging in the United States. About the Author: Meredith L. Clausen is Professor of Architectural History at the University of Washington, Seattle (**Note: due to heavy weight, extra shipping will apply to all locations) . Barcelona: Editorial Gustavo Gili, SA. New. 1998. First Edition. Softcover. 3927258806 . New book - large softcover with French flaps. Text in Spanish & English. B/w & colour illustrations. Non-paginated....Creator of the Bibliotheque Nationale de France, Francois Mitterand's ultimate grand project, Perrault is know for large-scale interventions like the Berlin Belodrome and for his town planning schemes like the ile de Sainte-Anne in Nantes. 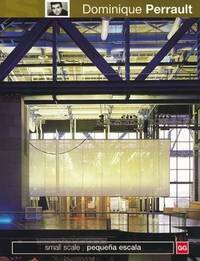 This book offers a more intimate vision, a look at the less familiar side, a rapprochement to the small-scale work of this major French architect.... (410-osl) ; 4to 11" - 13" tall . Macmillan. Near Fine in Near Fine dust jacket. 1992. First Edition. Hardcover. 0026141256 . Excellent condition, clean and bright, with only light wear overall.. 323 pages. Profusely illustrated. 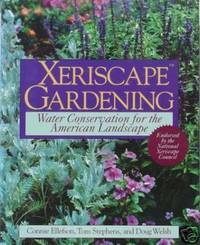 ; 4to 11" - 13" tall; Reviews: As the authors of this superb volume take great pains to point out, a Xeriscape (a trademark developed by a Colorado task force) landscape consists not merely of "a few forlorn cacti surrounded by gravel. " Rather, it is an outdoor environment that can flourish "without pouring thousands of gallons of expensively purified water down the drain in the process. " Surely this is a concept whose time has come.... (*Note: due to heavy weight, extra postage may be required. ) . Cambridge: MIT Press. Very Good in Very Good dust jacket. 1974. First Edition. Hardcover. 0262191083 . Ex-library book, but still in quite good condition - laminated cover and usual ex-lib type markings. Pages all intact and clean other than light soiling to outer edge of pages, light age tanning to interior. Jacket has moderate wear to edges, a few small tears and sticker residue on front. B/w & colour illustrations. Goes beyond Safdie's 'Beyond Habitat' in many ways, this book theorises 'the 3 dimensional community'; the requirements and possibilities of (minimal and luxurious) human habitation; the techniques of building in the factory; the attributes of well-planned urban meeting places. (1220) ; 4to 11" - 13" tall; 339 pages; (Note: Due to heavy weight, extra postage will be required) . Edinburgh: Edinburgh University Press. Very Good+ in Very Good+ dust jacket. 1994. First Edition. Hardcover. 0748604790 . Ex-library book, but still in very good condition - usual ex-lib type markings. Oversize hardcover has light edge and corner wear, light soiling outer edge of pages. Interior in clean with all pages intact, 2 ribbon markers. Profusely illustrated in b/w & colour. 645 pages. This beautifully conceived and produced survey of Islamic architecture explores the glorious world of the caravansarai, mausoleum, palace, and mosque. Focusing on the multifaceted relation of architecture to society, Robert Hillenbrand covers public architecture in the Middle East and North Africa from the medieval period to 1700. ; 4to 11" - 13" tall; Extensive photographs and ground plans -- among which are hundreds of newly executed three-dimensional drawings that provide an accurate and vivid depiction of the structure -- are presented with an emphasis on the way the specific details of the building fulfilled their function. Included are chapters on religious and secular architecture and the architecture of tombs. Each building is discussed in terms of function, the links between particular forms and specific uses, the role of special types of buildings in the Islamic order, and the expressions of different sociocultural groups in architectural terms. Here the student or historian of Islamic architecture will find an astonishing resource, including Maghribi palaces, Anatolian madrasas, Indian minarets, Fatimid mausolea, and Safavid mosques, each rendered in lavish illustrations and explained with incomparable precision. 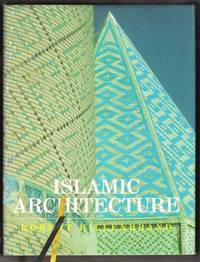 About the Author: Robert Hillenbrand is professor of Islamic art at the University of Edinburgh. "One of the most important books on the subject to be published this century. " -- James W. Allan, The Ashmolean Museum, Oxford (*Note: Book is very heavy and will incur addt'l shipping charges). .
Rome: Collegio San Clemente. Very Good. 1972. First Edition. Softcover. Illustrations and numerous photographs. Light cover and edgewear. Pages clean and tight. Complete except for transparent scale map which apparently was at the end of the book. From the Introduction: The Basilica of San Clemente is situated some three hundred yards above the Colosseum, on a road that rises gradually to St. John Laterna from the valley between the Coelian Hill on the south and Oppian Hill on the North. It is named after Pope St. Clement, the 3rd successor of St. Peter in the See of Rome, who died around 100 A. D........ (110? Osl) ; 12mo; 82 pages . Prince George, B. C.: Log House Pub.. Good. 1979. First Edition. Hardcover. 092027028X . Log House Publishing 1979. Ex-library book with usual ex-lib type of markings. Would be upgraded to very good except it appears someone's child or small dog has chewed on bottom edge & upper spine of book. This doesn't affect the pages except tiny piece out of corner of last few pages. Cover is otherwise good with some light soiling. Pages are all intact with occasional light soiling and a few tiny edge tears and light creases on a few pages. Profusely illustrated. Contains plans for 37 different log houses and design considerations for log buildings. ; 4to - over 9¾" - 12" tall . New York: Van Nostrand Reinhold. Very Good in Very Good dust jacket. 1983. First Edtiion. Hardcover. 0442213395 . Ex-library book, still in quite good condition - laminated cover and usual ex-lib type of markings. Cover has light edgewear - a little moreso to corners and bottom edge where the paper is rubbed off in a few spots. Light edgewear to jacket which is attached to book. Light scuffing of laminate. Pages clean and intact. Profusely illustrated in b/w. 134 pages. Wood, from the most expensive and exotic to the common, backyard species, can be transformed into beautifully crafted objects by the woodworker who understands its particular properties and how to make the most of them. The inherent characteristics of the original tree, as well as how the wood was grown, cut and dried, significantly affect the techniques a woodworker should use, as well as what the end product should be. 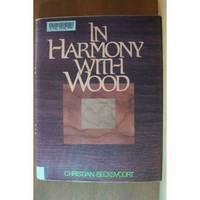 The author explains how to determine the strengths, weaknesses and applications of a wide variety of domestic hard and soft woods. Woodworkers will also learn the basics of woodlot management.....The author is a professional cabinetmaker who conducts seminars and workshops in all phases of cabinetmaking in New Gloucester, Maine. ; 4to - over 9¾" - 12" Tall . London: Wayland Publishers. Very Good in Very Good dust jacket. 1974. First Edition. Hardcover. 0853403597 . Ex-library book, still in very good condition - laminated cover and usual ex-lib type of markings. Laminate has light scuffing, light edgewear and light soiling. Jacket underneath laminate has a little wrinkling around edges and a repaired tear on rear. Light soiling outer edge of pages. Interior is clean with all pages intact and light age tanning. One page has a taped tear and one other small edge tear seen. Last few pages are lightly wrinkled and a few pages have light ink rubbing from one page to the opposite page. B/w illus. The cathedrals embody the finest craftwork of English medival architecture. 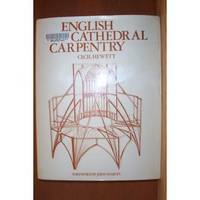 In this book, the author covers the field of functional carpentry and shows how major a part was played by the carpenter in the complex business of cathedral building. He covers ridged main-span roofs, lean-to roofs, apse roofs, polygonal chapter house roofs, doors and the few surviving windlasses and capstans that hoisted materials during building. Each chapter contains an outline of the broad course of development and the appendix lists the carpentered contents of each cathedral..... ; 4to - over 9¾" - 12" Tall; 176 pages; (Please Note: due to heavy weight, extra postage will be required to most locations) .